There’s nothing better than a silk dress in spring. I snagged this Vince dress (similar style in same color here) last weekend! It’s light (great for the Texas heat), but could work for fall/winter with just a switch of accessories and some tights. It is definitely one of my new favorite wardrobe staples! PS: Dallas-area ladies and gents, don’t forget about the Ted Baker 25th Anniversary event tomorrow at Northpark Center! Come by the Ted Baker store between 6-9pm for cocktails, chocolate (yum! ), and 25% off the ENTIRE store. The discount is only happening tomorrow night, so don’t miss out! Click here to RSVP and hope to see you there! 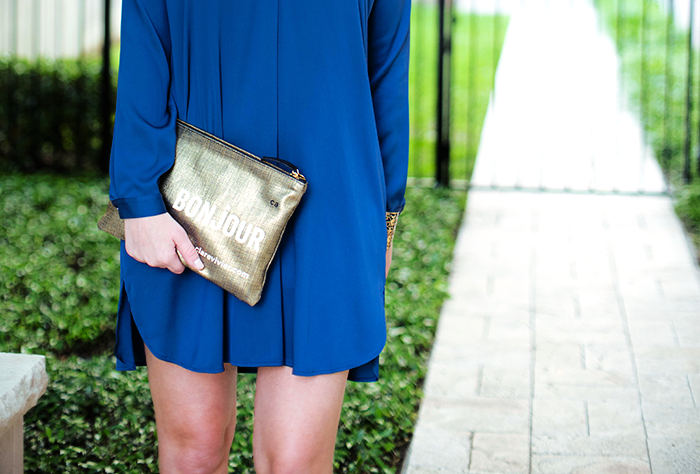 Those booties are gorgeous and I love the draping on this dress – blue is so pretty on you! I love the dress! The color and pleats are gorgeous, I love the way it drapes! 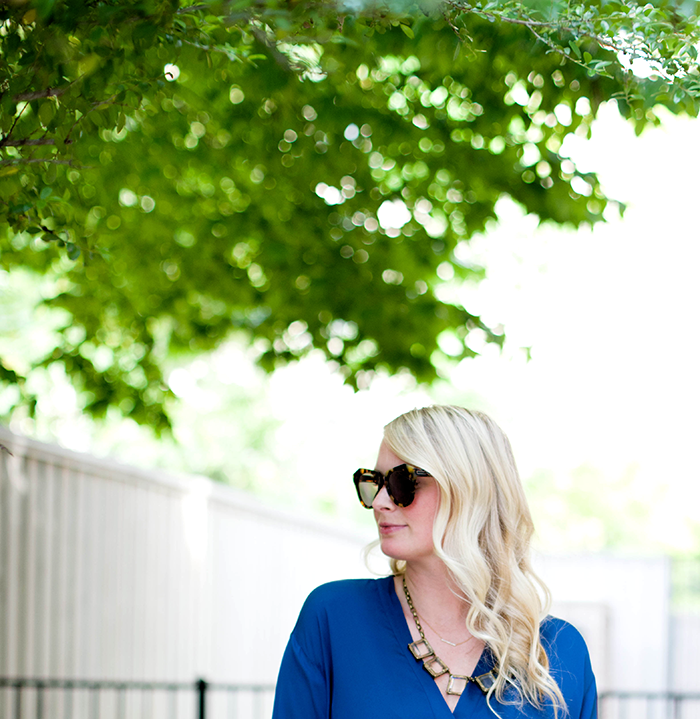 And I LOVE finding a year-round dress… one that completely works for all seasons, which this one definitely will! Your photos are always so crisp and gorgeous! Good luck battling the Texas heat this summer! Merritt, this may be my favorite outfit yet. The blue color is gorgeous with your skin tone, and I’m digging the curly hair!